Simply Hired has released its July 2014 Employment Outlook report showing that nationwide job openings increased 10.6 percent month-over-month and 34.7 percent year-over-year in June 2014. This is the single largest monthly increase posted in 2014, and includes gains in 17 out of 18 industries and 21 out of 23 occupation categories. 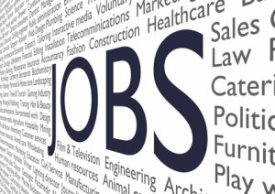 • Nearly all industries experience job growth. Job openings increased in 17 out of 18 industries in June 2014 with government (24.6 percent) jobs showing the greatest increases. The sole exception was the non-profit sector, which saw a significant decline (-18.1 percent) over this period. • Job opening increase in almost every industry. Nearly all occupation categories (21 out of 23) experienced growth in job openings in June 2014. Engineers (excluding computer) (23.3 percent) and installation, maintenance and repair worker (20.1 percent) roles experienced the most growth, while journalist and media worker (-7.4 percent) roles faced the largest decline in June 2014. • Nearly one-half of the top posting companies in June 2014 were healthcare-related, making healthcare the top posting industry. There were also a significant number of job openings at technology companies, financial institutions and consulting firms.